Hi, my name is Steve Burden. My career with pianos began at Duck, Son & Pinker Ltd. in Bath. Historically, this was one of the great piano names in the South West. For a while they even made their own pianos - though most of the surviving pianos bearing the Duck, Son & Pinker name were made elsewhere. It was here, in the mid 1970s that I did my training. Back then, the apprenticeship was informal and purely practical, but gave valuable and extensive experience with all kinds of pianos. During the early 1980s I moved up to the Cotswolds - working in and around Stroud. 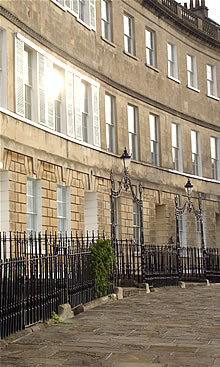 Returning to Bath in 1986, I took the plunge and began working for myself. For a while, a good deal of sub-contracting work was done for a few of the local piano shops. Since adopting the Pianology name in 2006, the business has continued to grow and develop and now has a small workshop in Bath. Throughout these long years of working with pianos, I have concentrated on better understanding the technical aspects of tuning and repairs. This ongoing and deliberate study is the firm foundation for the solid reputation now enjoyed by Pianology.